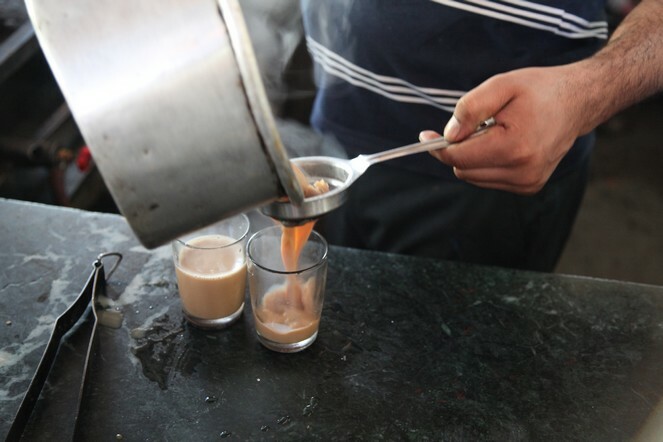 All along the roadsides in India there are many stalls serving delicious spiced tea. The flavour varies according to the mood of the person preparing it and the clientele’s preferences. Here, near Jammu (India), I’m about to taste the local brew. I’m particularly looking forward to it as I don’t often come to Kashmir. I can’t wait to discover the flavour they give their chai around here. I bet that one taste fabulous.